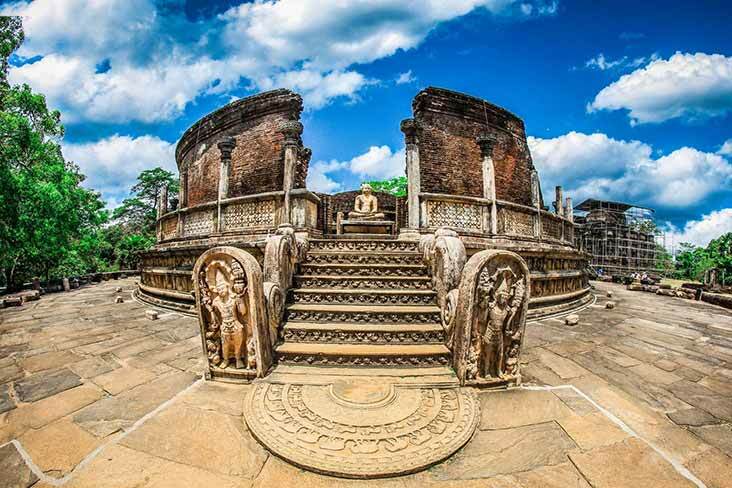 Polonnaruwa the second capital of Sri Lanka from 1017 A.D to 1235 A.D. Polonnaruwa is also a UNESCO world heritage city. 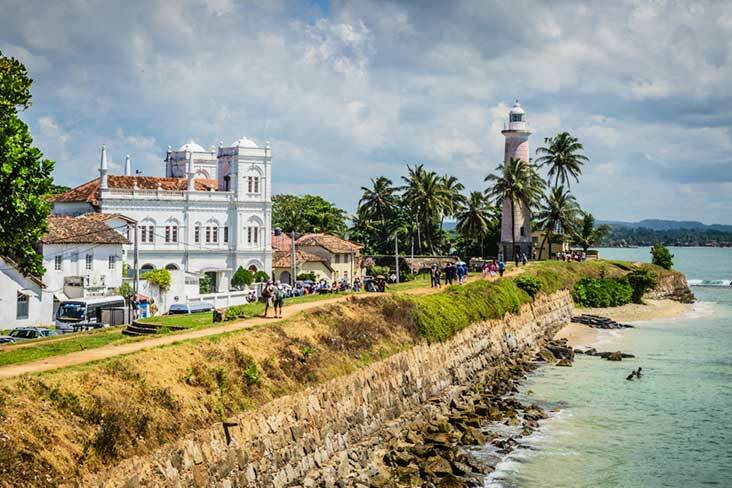 You will be able to see the ruins of Royal Palace king Parakramabahu, Audience Hall, the statue of king Parakramabahu, Watadage, the Galpotha, Parakrama Samudraya (Sea of Parakrama) which was built by King Parakramabahu I, covers an area of 5940 acres and the elegant Lotus pond was built in 12th century. 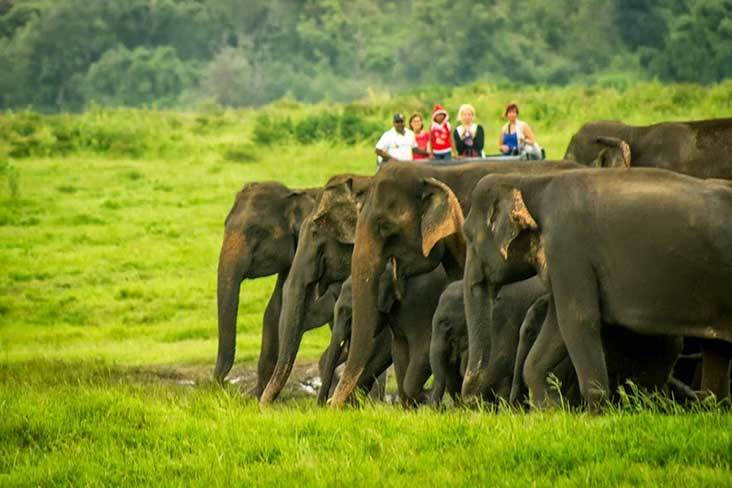 Minneriya National Park is situated in the north-central plains of Sri Lanka, 20 kilometers from Polonnaruwa. Even though it is one of the smallest national parks in the country, covering just 8,889 hectares, it’s a paradise with many natural wonders. The park encompasses the beautiful Minneriya tank, built by King Mahasena (in 3rd century AD). This tank is an incredible place to observe the elephants that come to bathe and graze on the grasses as well as the huge flocks of birds (cormorants, painted storks, open-bills, Pelicans and many other species of waders) that come to fish in the shallow waters. Sigiriya is treated as one of the most remarkable creations in the world, built by King Kashyapa (477-495 AD). Path through the gardens along Stone stairways come to the Lion Gate. Only the rock carving and the brick structure is evident today of the lion’s mouth through which millions of people have walked to admire the beauty of this magnificent citadel. 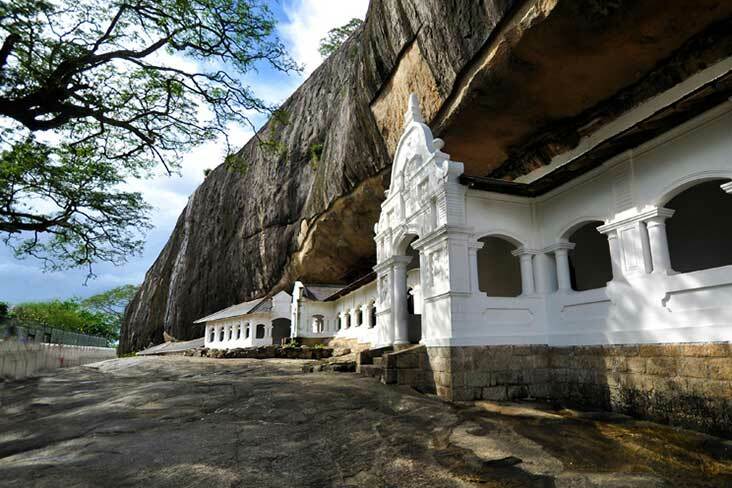 Dambulla Rock temple was built by King Walagambahu during the 1st Century B.C. 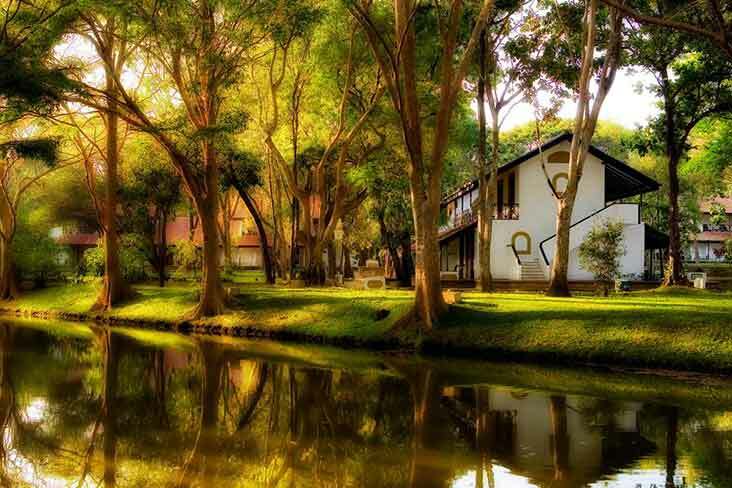 Dambulla is a UENESCO world heritage site. There are more than 80 documented caves in the surrounding and the paintings are done on the ceiling. There are a total of 153 Buddha statues 3 statues of Sri Lankan kings and 4 statues of god and goddess. 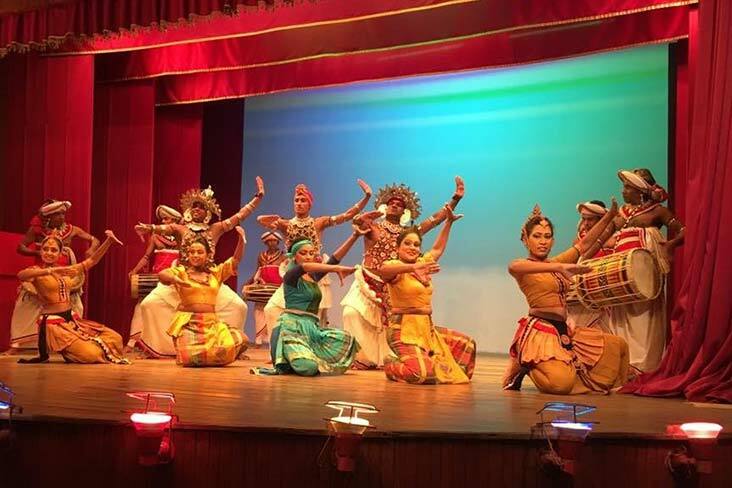 The Kandy Dance cultural show is one of the most famous evening events in this city of heritage, and is a major highlight of any trip. 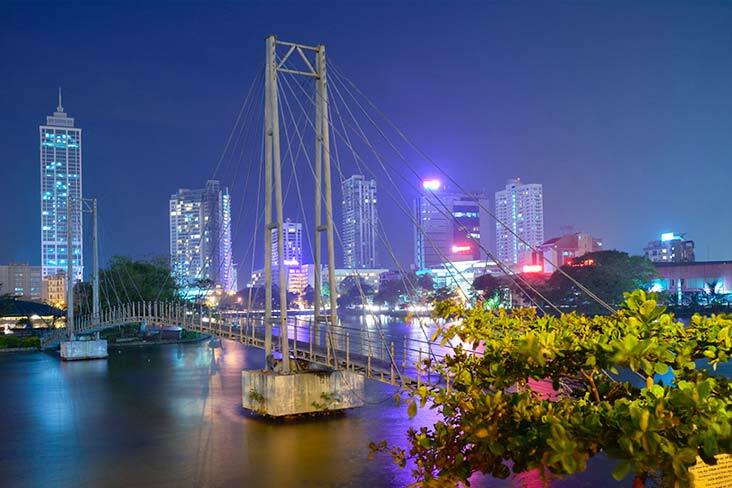 Starting in the evening, show captivates your ears and eyes with spectacular displays of local culture and art. Covering various aspects of Sri Lanka’s traditions, expect to see drummers, fire dancers, and more in a cultural spectacle that should not be missed. 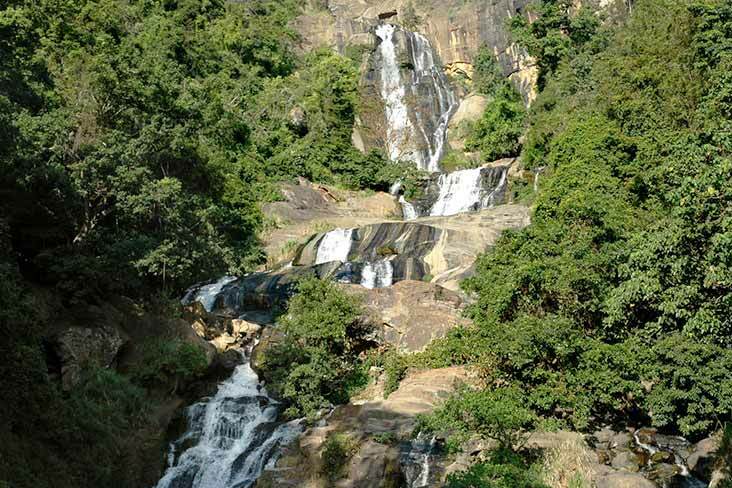 This waterfall measures approximately 25 m (82 ft) in height and cascades from an oval-shaped concave rock outcrop. 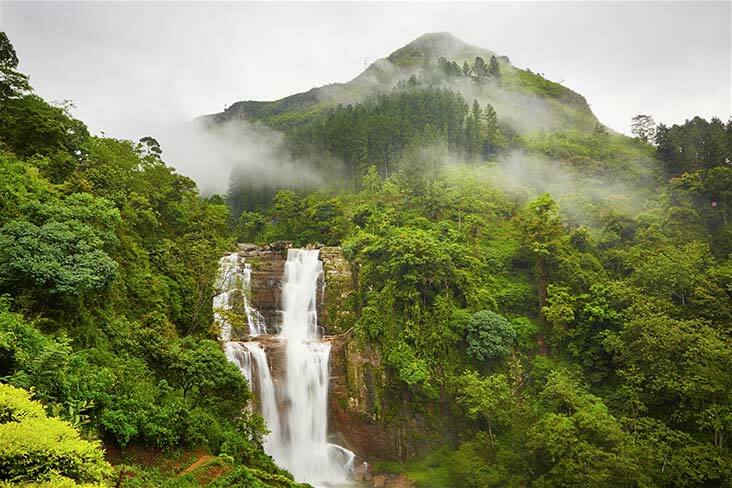 During the local wet season, the waterfall turns into what is said to resemble an area flower with withering petals,The falls have been named after the legendary king Ravana, which is connected to the famous Indian epic, the Ramayana. According to legend, it is said that Ravana (who was the king of Sri Lanka at the time) had kidnapped princess Sita, and had hidden her in the caves behind this waterfall, now simply known as the Ravana Ella Cave. 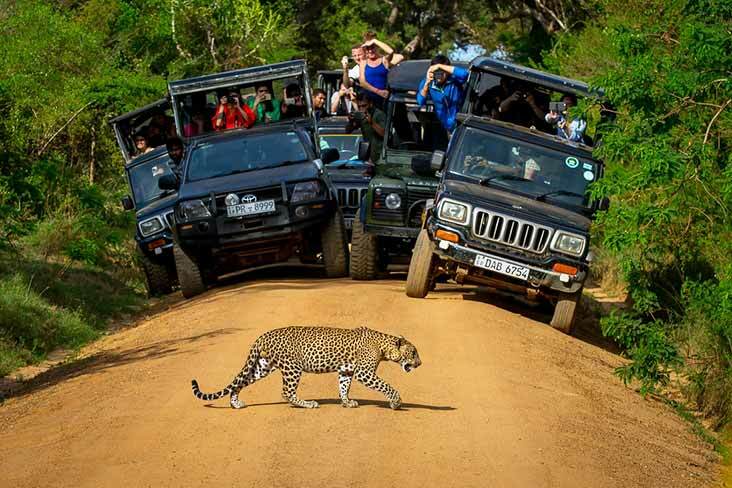 Yala National Park is also known as the Ruhunu National Park and is one of the biggest jungles in the country. 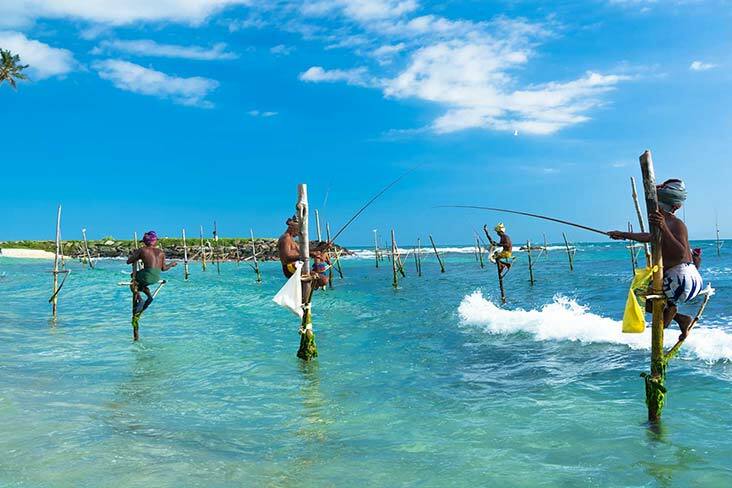 Set in the southeast of Sri Lanka, it is a 305 km drive from Colombo. Elephants are the Park’s main attraction although leopards are seen frequently and sloth the bear occasionally. Yala is also home to hundred species of birds, endemic and foreign, including the jungle fowl, Sri Lanka’s national bird, and flocks of peacocks. Yala also has a beach front and swamps haunted by crocodiles. Afterwards breakfast proceed to Habarana, the hub of the cultural triangle. 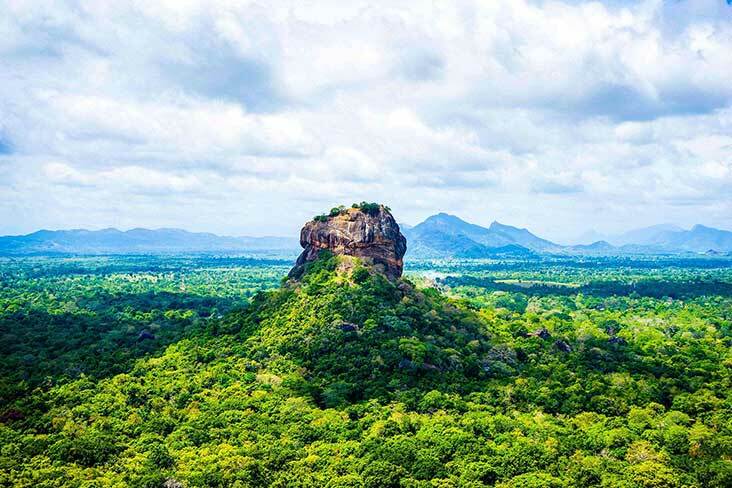 Depart to the Lions Rock in Sigiriya, a UNESCO world heritage site adorning a palace on its peak. 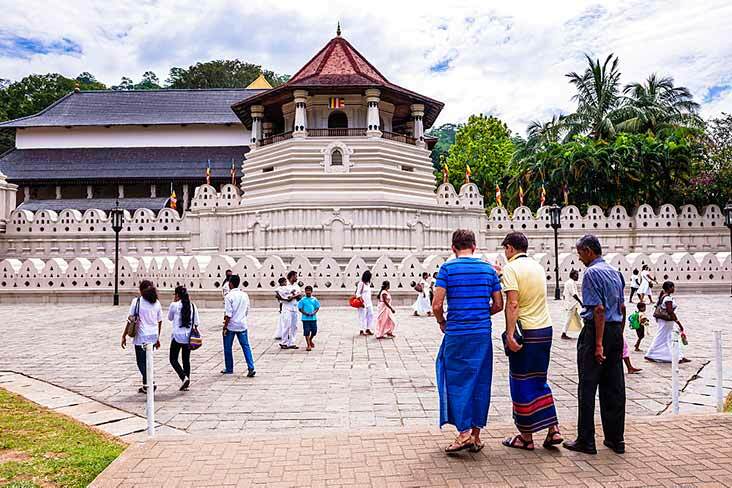 A must visit for anyone visiting Sri Lanka , After breakfast proceed to Kandy, while visiting the Rock Cave Temple in Dambulla and Ayurveda herbal garden Matale an route. Later in the evening witness a Cultural Dance performance. 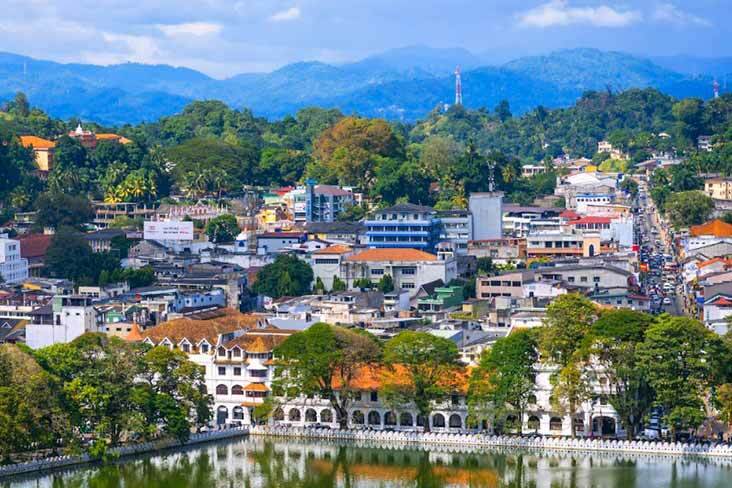 In the morning spend the day touring the Kandy town including a visit the Temple of the Tooth Relic. 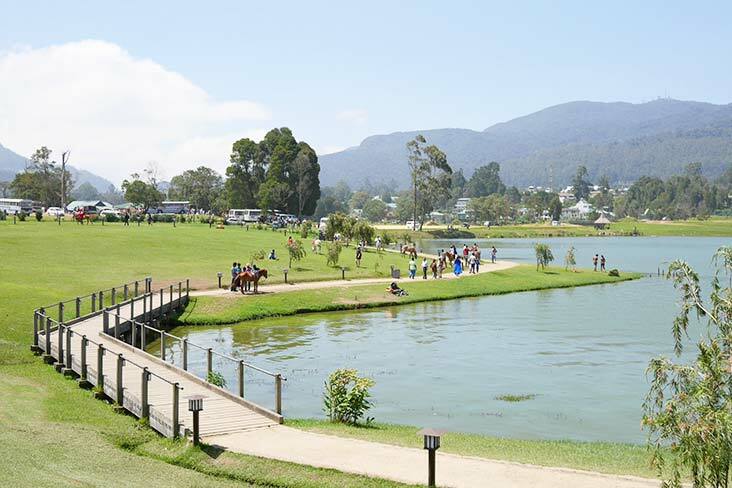 Proceed to Nuwara Eliya. 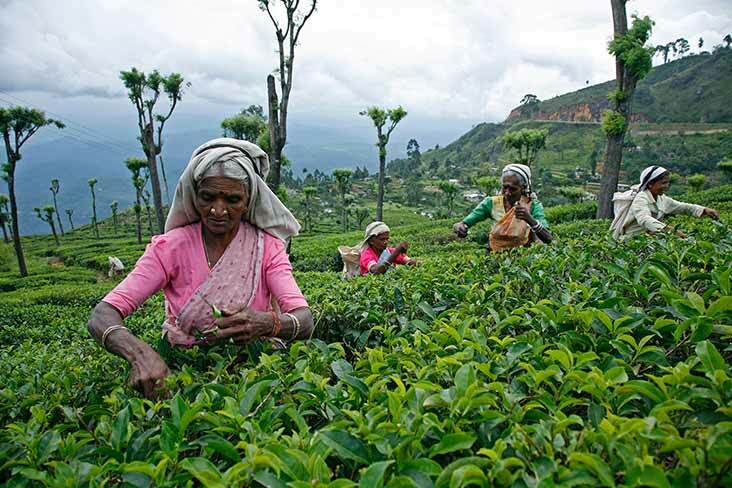 After settling in at the hotel, conduct a sightseeing tour including a visit to a Tea Factory/ Plantation. After breakfast conduct a walking tour including a visit to the Ravana Ella Falls and Cave, Set off once again and enjoy morning and evening game drives at the Yala National Park. This is an ideal opportunity to observe all the animals you might have missed during the previous day, as each day is different from the other.